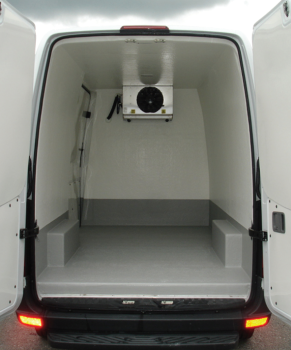 Do you need fresh product, transported safely, securely, and in the cold? Emery Village has the business for you. Prisco vans began approximately eight years ago. The concept developed from the experience of one of it’s owners, Roberto Vettese. And as he began to do more of it, Vettese noticed a hole in the market. There simply weren’t a lot of companies doing high quality insulation work for the food industry. So he began to get an idea that it was a gap he might be able to close himself. He traveled to Europe for a couple of trade shows, investigated the best practices there and brought it back to his business in Emery. Now, Prisco Vans is a leading installer of custom refrigeration boxes for the food industry in Ontario, and beyond. In other words, they take quality stock vans, and make exactly what you need for your business or product. And Prisco deals with a number of big companies, including Ford. In fact, the company that began averaging approximately 20 vans a year, is now up to approximately 120 a year. Vettese was born and raised in the Emery area, growing up at Finch and Weston, and his partner Robert Mercieca lives in Emery today. They love the area, he said, and are impressed with the amount of improvement that has gone on. But of course, like many businesses, it was the ideal business location that drew their interest. And business is good, as Prisco is expecting another expansion soon. 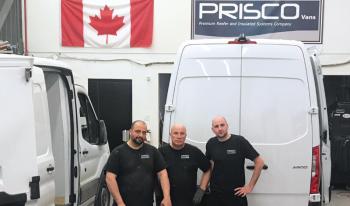 Prisco Vans is located at 161 Deerhide Crescent.